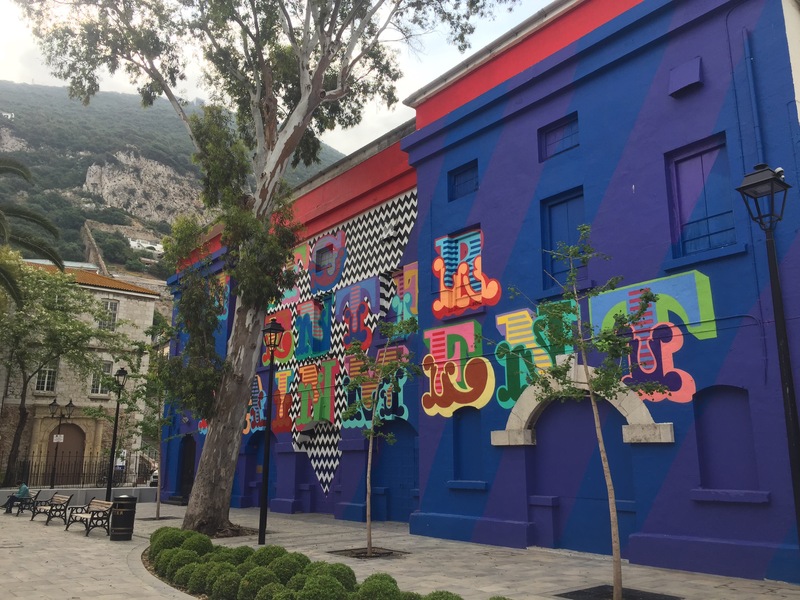 In the last month, one of Gibraltar’s historical buildings has had a colourful makeover. 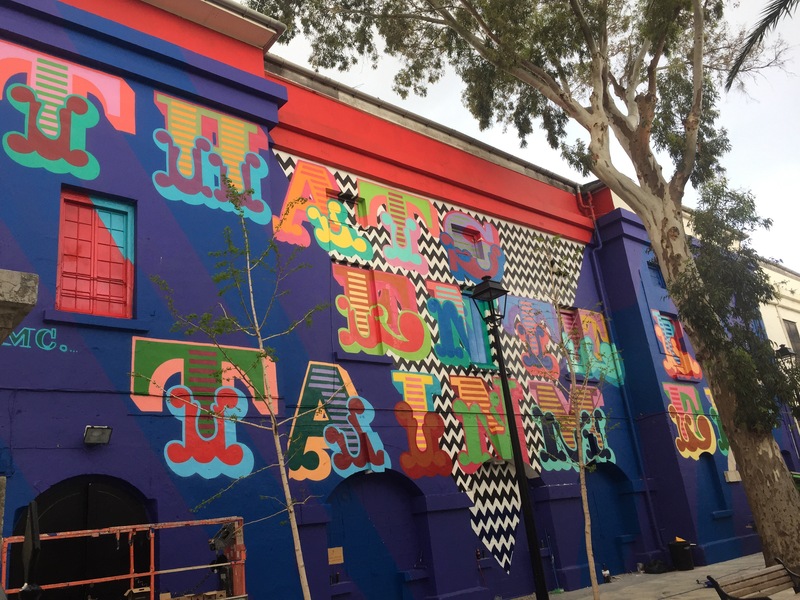 The British artist Ben Eine was brought over to repaint the northern facade of the Inces Hall as part of a new Government programme of urban renewal. The previously shabby white exterior is now painted with the words ‘THATS ENTERTAINMENT’ in vibrant colours on a purple and blue striped background. Both the choice of venue for the art work the missing apostrophe from the statement have caused much heated debate on local social media. 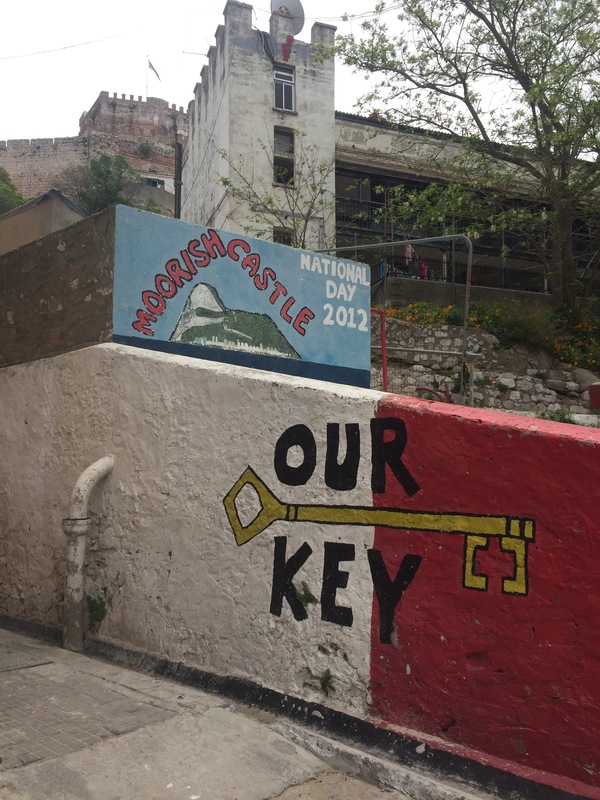 Critics of the work disapproved of using a historically important building as a canvas for the art, while supporters welcomed a bright and cheerful talking point at the southern end of Main Street. 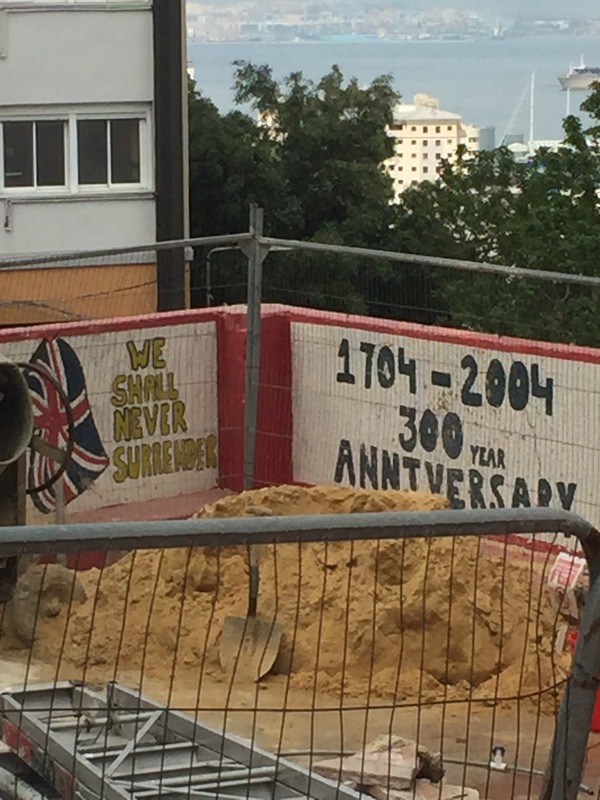 Whatever your views are on the Inces Hall painting, street art is nothing new in Gibraltar. 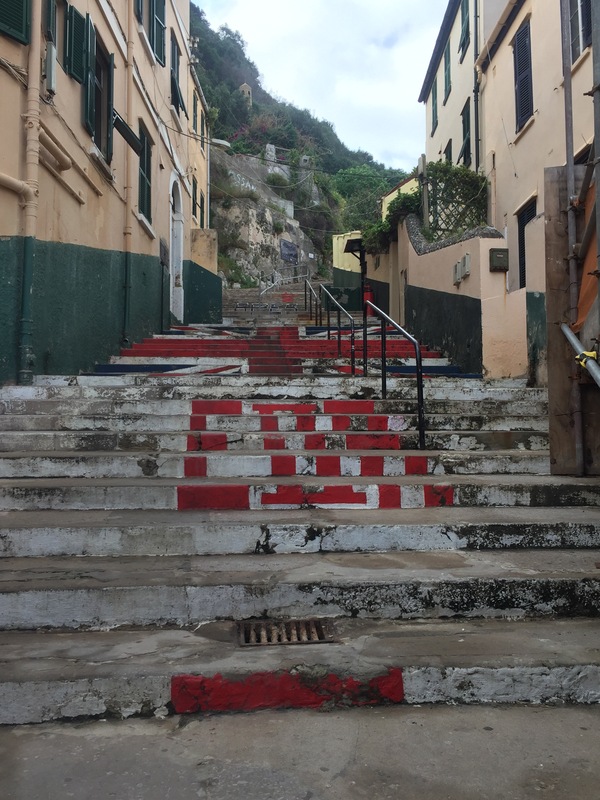 One of the Rock’s most iconic streets is famed for it’s paint job. 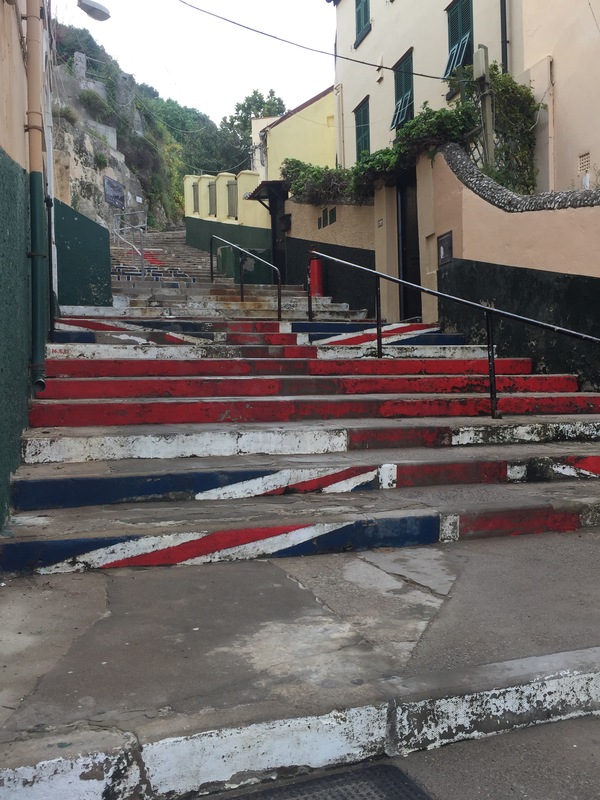 Devil’s Gap Road was painted by the local community when Gibraltarians went to the polls in 1967 to vote on remaining British. 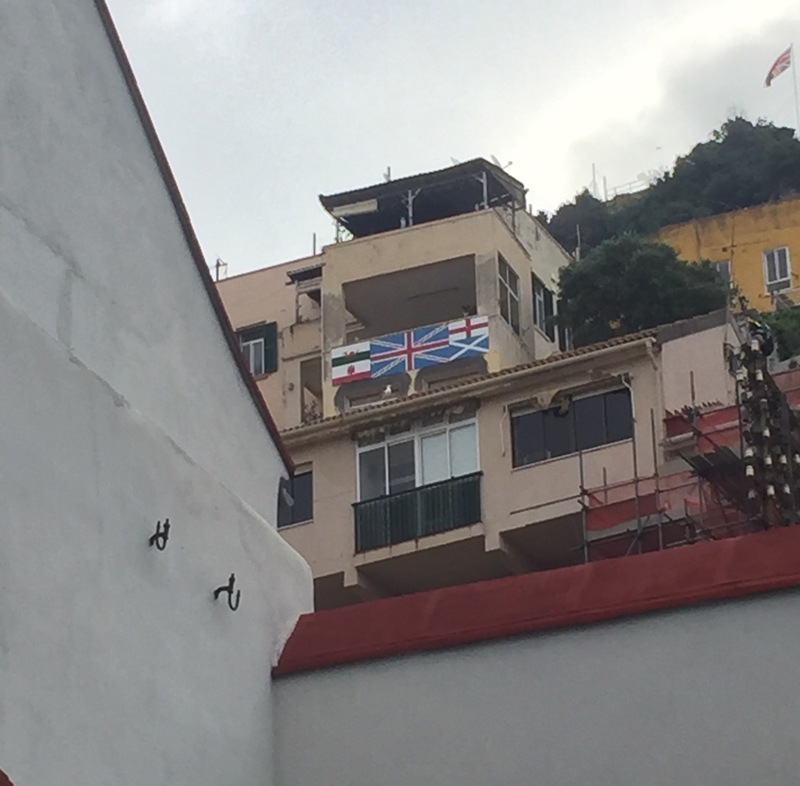 The 50th anniversary of the referendum result, which was overwhelmingly in favour of Gibraltar remaining British, will be celebrated this September. 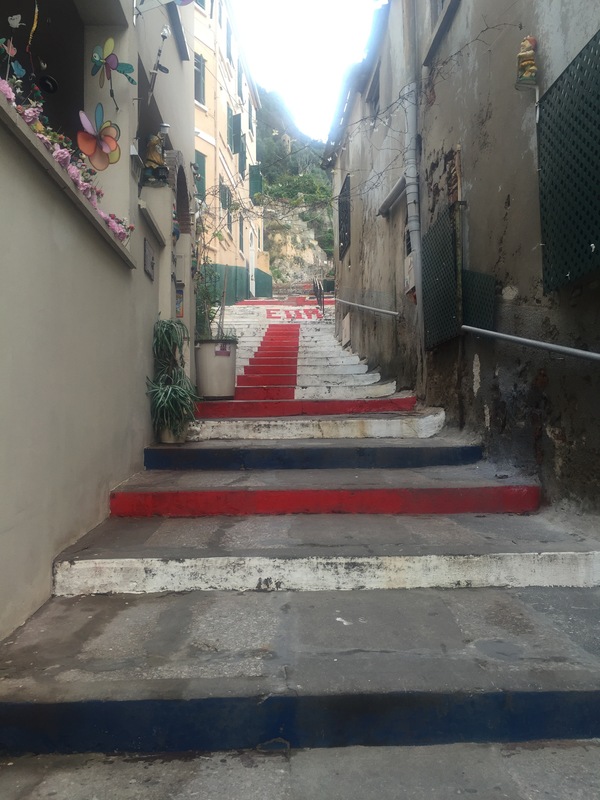 Among the events lined up will be a repainting of the steps. 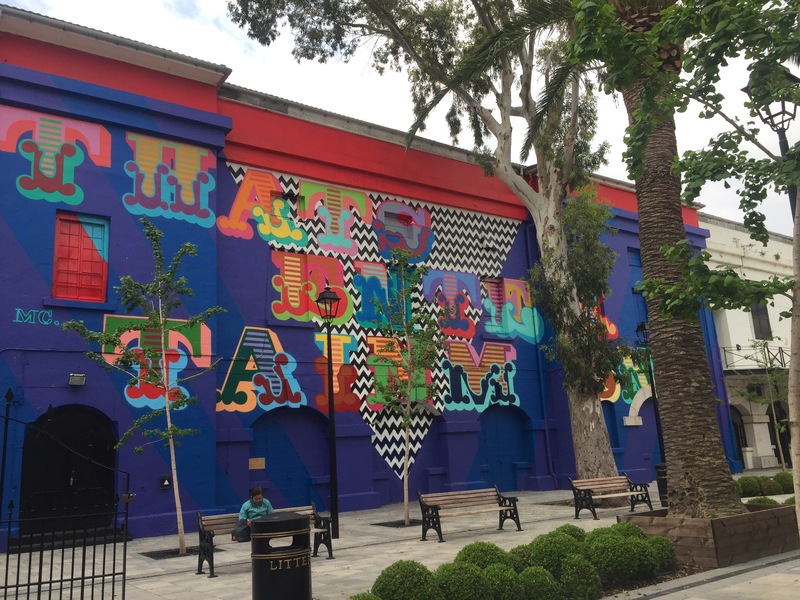 At the northern edge of Upper Town, there’s plenty more street art to be found. 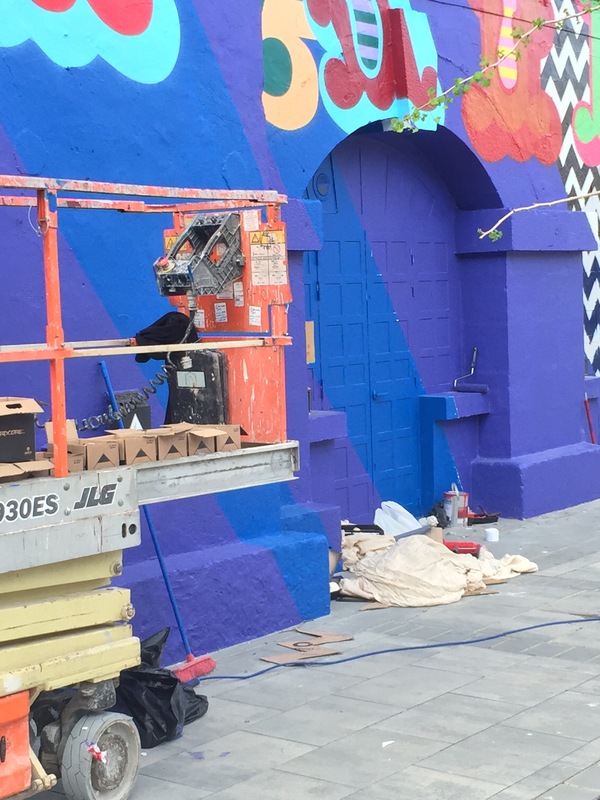 The area is currently undergoing renovations but there’s plenty community artwork still there for all to see. What are your thoughts on street art? Sometimes street art really cheers a place up. lovely pics. 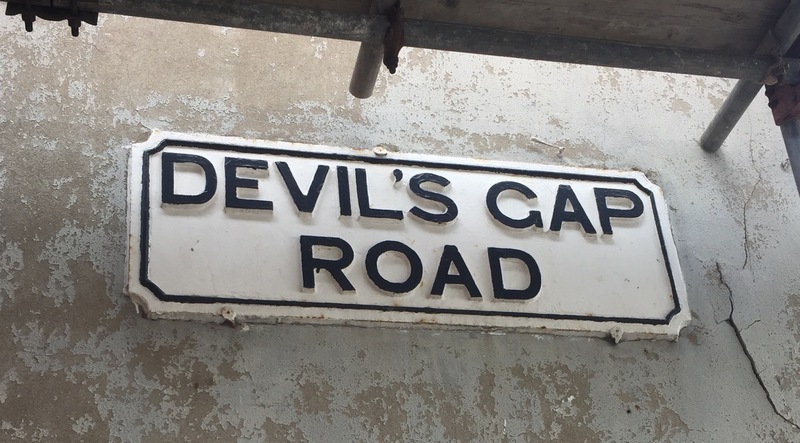 I have to agree with you Cathy, I think it gives the place even more character than it has already! I think the painting of Ince’s Hall is vile. Totally and utterly. Compared with the class job done on the Gib bank, this is a disaster. I didn’t even know what the words were. Why not paint this tosh on some horrible modern building instead of something historic and old. Yes, the outside of Ince’s needs a revamp, but not like this. Also, it wasn’t just one artist. There were plenty of (Spanish) brushhands working on it. I like to see street art but this would have been better if blended with the banks paintwork. 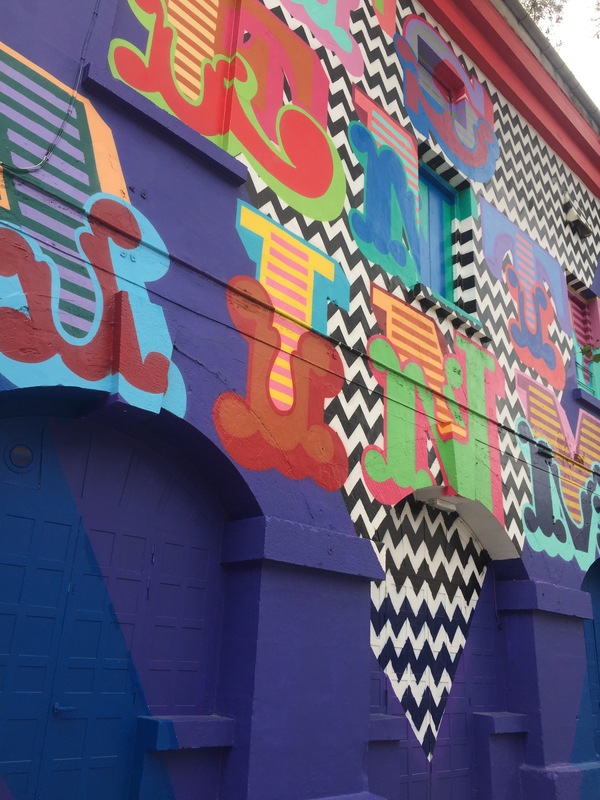 I like the colourful painted building – whoever did it. It might not be to everyone’s taste but you can’t please everyone. 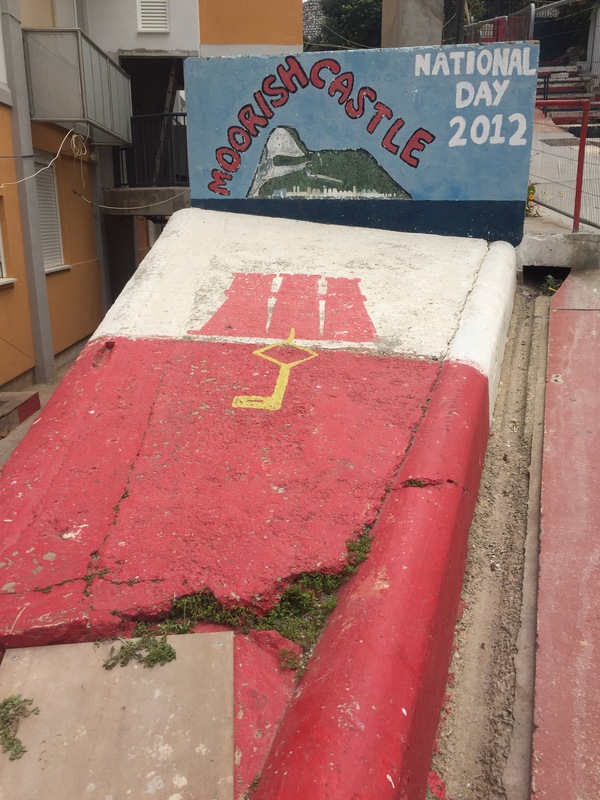 I think more towns could be decorated like this in the UK, as long as they are maintained.